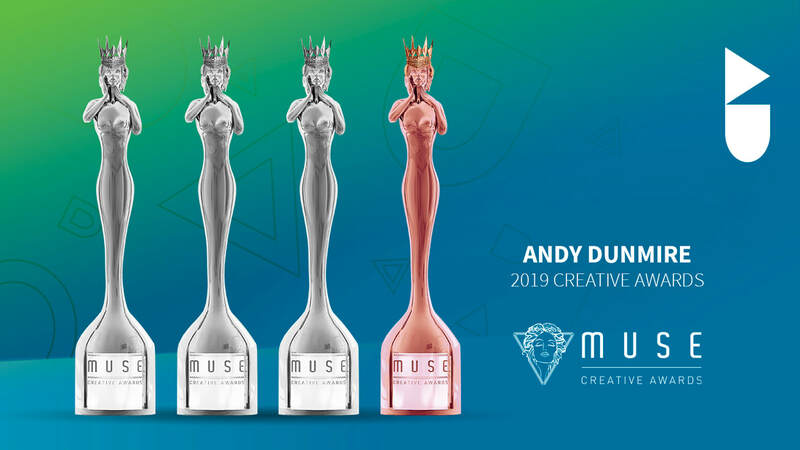 Both the Muse Creative and Muse Design Awards are administered and judged by International Awards Associates (IAA), and stellar panels of internationally-recognized professionals from both fields. IAA oversees awards and recognition programs, assembles judging panels, and sets rigorous standards for both competitions. This year’s Jury Panel includes 42 renowned, experienced, and brand-new Judges from 22 countries worldwide. Judges hail from leading companies in the creative and digital industry from all corners of the globe, and include professionals from such power brands as Grayling, DMG, McCann Worldgroup, Stewards of Wildlife, United Nations Children's Fund, Hewlett Packard Enterprise, etc. Entries in all categories were ranked according to industry-best standards. During blind judging, panelists evaluated the effectiveness of creative and design concepts, selecting winners from a deep pool of international submissions. The 2019 competition included entries from United States, Canada, Australia, Austria, Brazil, Republic of China, Czech Republic, Denmark, Finland, France, Germany, Hong Kong, Honduras, Hungary, India, Italy, Ireland, Israel, Japan, Latvia, Lebanon, Malaysia, Macau, Mexico, Netherlands, New Zealand, Norway, Philippines, Portugal, Saudi Arabia, Singapore, Slovenia, South Korea, Spain, Sweden, Switzerland, Taiwan, Turkey, Ukraine, United Arab Emirates, United Kingdom, United States and Yemen. Numerous entries from international brands and top agencies from around the world were received for this year’s award program. The amount of time and passion dedicated to producing such astonishing works is truly admirable. Entries submitted by agencies for companies and brands such as Netflix, FOX Networks Group Spain, Walt Disney, Disney Channel, Warner Brothers, Audi, Ford, Kia, Jaguar Land Rover, Mitsubishi, Toyota, Dell EMC and McLaren, Bank of America, Dell Technologies, Coca Cola, Carlsberg, Longines, AIA Singapore, Taiwan Tourism Bureau, Nu Skin, Valley Forge Tourism & Convention Board, Morris Animal Foundation, French American Chamber of Commerce are among some of the winners from this year’s award. Andy Dunmire is an award-winning designer in Silicon Valley with nearly two decades of experience that includes Fortune 500 Brands, Agencies, Higher Education, and in-house creative teams. But more than that, he prides himself on being an atypical designer and problem solver. With a BA in Design and an MBA, Andy loves the immersive creative and discovery process just as much as tracking project milestones and pitching new business. Andy has a versatile design background in branding, printed collateral, digital product design, user experience (UX), and product management. As an independent contractor, that combination of depth and breath in both clients and work is exhilarating. If you’d like to start an award-winning project, simply reach out to Andy Dunmire.